To this day, the guardians of magic still gather here for meetings and rituals; visit and you may very well see their like standing amongst the decaying pillars. But if you do, mind that you are entering a place of sorcery. Strange energies have been detected around the stones, particularly in the circle of the King’s Men. It is this strange energy that has been charged with creating confusion within the circle, for try as you might – and many have – if you attempt to count the stones, you’ll never count them all. They have no official total; all attempts arrive at a different number! Intrigued? Surely, but before you conduct your own personal tally, a warning must be extended to the curious. It is not the most advisable of undertakings, for it is said that to count the stones three times and get the same number will beget a terrible tragedy. So, go on, count them…..if you dare! Many stories tell of the witching power of stone circles, but for the King’s Men there is strong evidence of supernatural influence. If you look carefully, from certain angles, the stones have a startling human quality about them; as if they were men all huddled together, protecting themselves. But what could these frozen figures have been so fearful of? Many hundreds of years ago, a powerful king from Europe travelled to England with plans to conquer the country. The king and his men marched across southern England announcing their presence and laying down new laws with fear and fire. The army enjoyed success and soon declared that they ruled the south of the country. But that wasn’t enough, for they desired sovereign over the entirety of England; but to do this they would have to confront the armies of the north. It is has been said that those that live by the sword ultimately will die by it, confronted by a power with far greater desire to rule than their own. For the invading king and his army, the shadows of impending ruin gathered themselves in the unlikeliest of settings: the lonely road into Long Compton. Several weeks passed as the rapacious horde trampled its way across southern Britain, on its way to the cold north. Ahead lay a road that would take them through Warwickshire, a meandering route through inconsequential villages and hamlets of this sleepy county. Yet, as they marched through the first settlement , a terrifying-looking old woman appeared before them. Though the men strode with their heads high, no one had seen the old hag walk into the road. But there she was, entirely still with her arms held wide, spread like a cross, barring the way. It was a fearsome sight; some of the men appeared disturbed and mumbled amongst themselves, whispering of witches. The king sensing some wariness in his troops, ordered them to continue. Reluctant they did so and marched on to within a shadow’s length of the old woman. 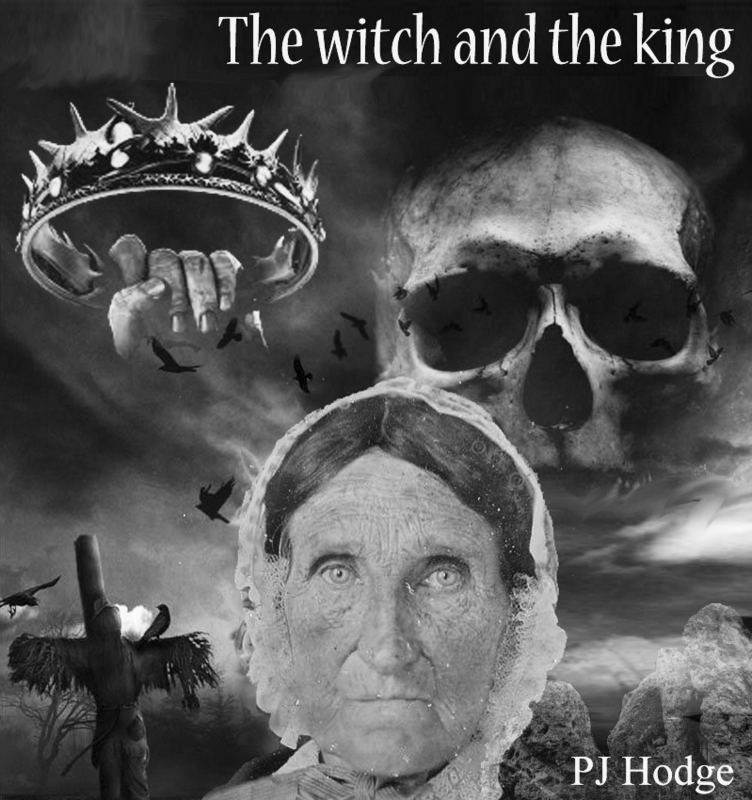 Slowly, she twisted her arm to the centre of her chest and from her furled hand, came a bony finger with nails, extended and snaking, pointing directly towards the king. As King of England I shall be known,’ he barked. The king was now furious. Without a thought, he stepped forward and raised his sword, pointing the sharp blade at the witch; but, just as quickly as he had raised his weapon, he quickly withdrew his hand, not wishing to appear troubled by her warning. And with this, the king took seven long strides towards the village. But as the king spoke, a thunderous sound bellowed from the ground beneath his feet. The earth before him appeared to sink, as if carved out by an invisible presence; then a violent torrent of green and black erupted skyward rising to form a huge grassy mound, blocking his view of anything to the north, including the village. With these magical words, the king and his men were enveloped in ribbons of grey mist, turning the warriors to cold dead stone. The King became the King Stone, his men the stone circle, and his riders the Whispering Knights. With her spell cast, the witch transformed herself into an elder tree. Here, she would keep a watch over the victims of her magic, making sure that the invaders would never complete their conquest. Tradition says that a day will come when the spell is broken. The king and his men will come back to life and continue with their conquest of England. But, in the meantime, the witch-tree will keep a close watch on the stones and their visitors. This entry was posted in beltane, folk tale, ghosts, horror, walpurgis, witchcraft and tagged history rollright stones, legend rollright stones, rollright stones folk tale, warwickshire ghost tales. Bookmark the permalink. Witches defending their homelands, one of many stories where we have done good, not evil. Though if these men rise up again I doubt they’ll be a threat. The Royal Army has weapons that will turn them to dust. Jose, yes, I love these stories where witches are upheld as forces of good. Mother Shipton is certainly a fascinating character from history.